Admittedly, my mom has a few examples of this that she’s passed on to me to share with my own child one day. 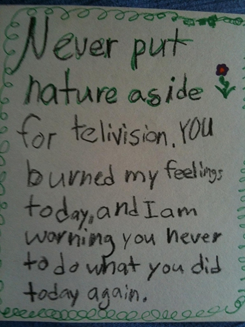 I love the innocence of kids, I love how truthful they are, how unbiased, unpolitical and how unfiltered they can get. I love the spelling. Oh my gosh, the sounding out of words. The “Gwokomoly” that your mom makes. I had a cookbook we wrote for mother’s day and my mom and I still phonetically say “chiggin and riss” for chicken and rice. It’s amazing to see their brains in action and how smart and astute they are in their observations of the folks around them. I want to be a Mom one day, I hope I get to. I hope I have a kid like any of these!